Schwervon! 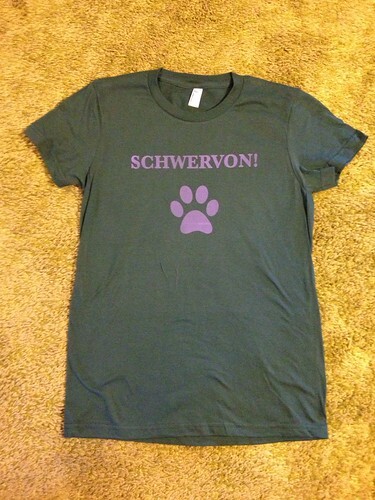 T-shirts now for sale online | Schwervon! Get a free download of the song: Dog Got Your Cat Tongue with each purchase. Available on the Schwervon! Bandcamp Store. This entry was posted in Uncategorized and tagged 100% cotton, American Apparel, clothing, Favorite Tshirt, Forest Green, Handmade, Paw, Schwervon!, Schwervon! Factory, shopping, Silk Screened, style, Tshirt. Bookmark the permalink.